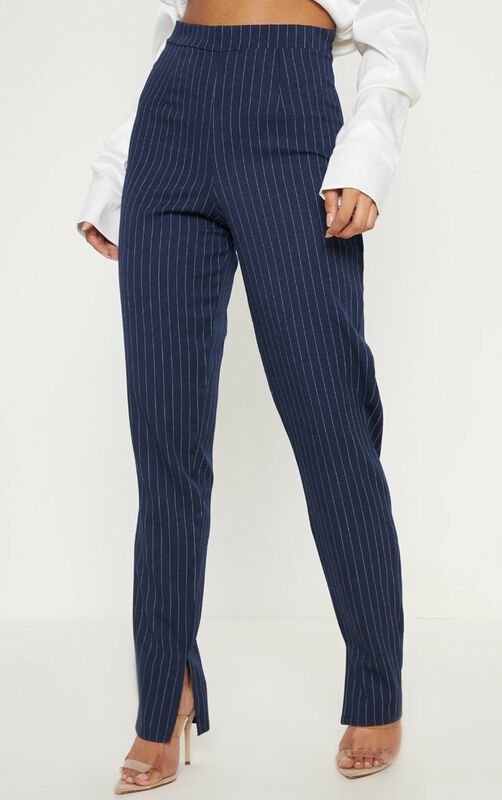 Give your look that promotion it deserves with these smart pants. 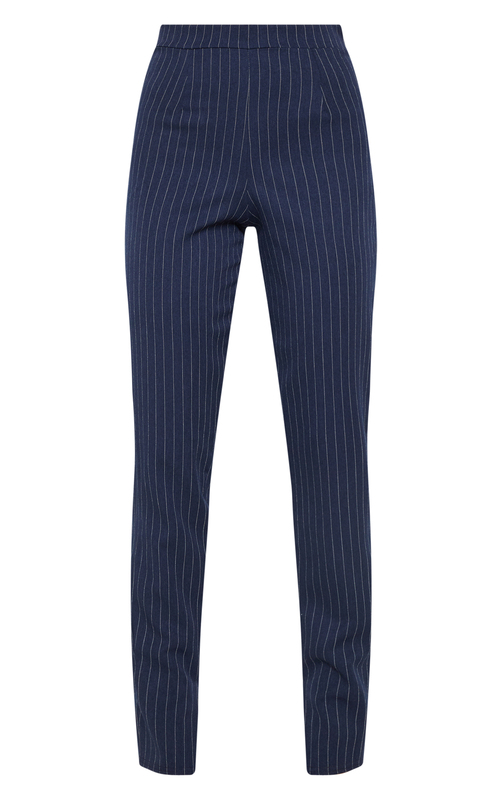 Featuring a navy and white pinstripe pattern with a split ankle hem. 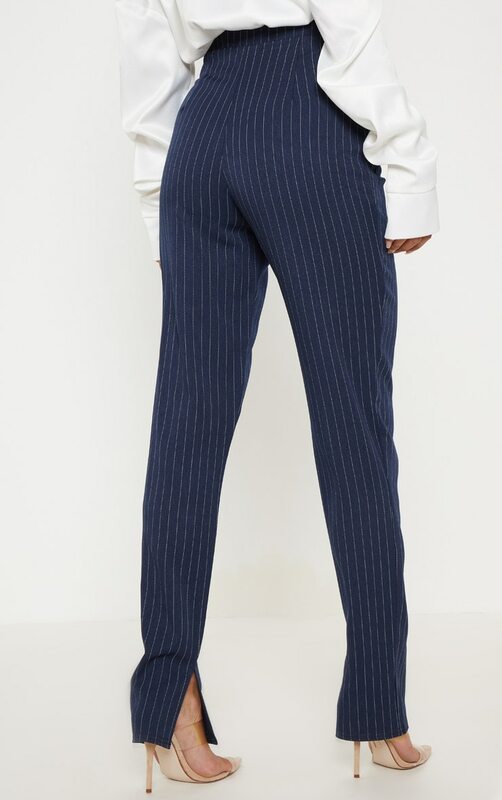 We love this styled with barely there heels and a white crop top to complete your weekend look.